Yesterday, in glorious sunshine, we took the kids to Cardiff Bay to see the Extreme Sailing and various attractions. 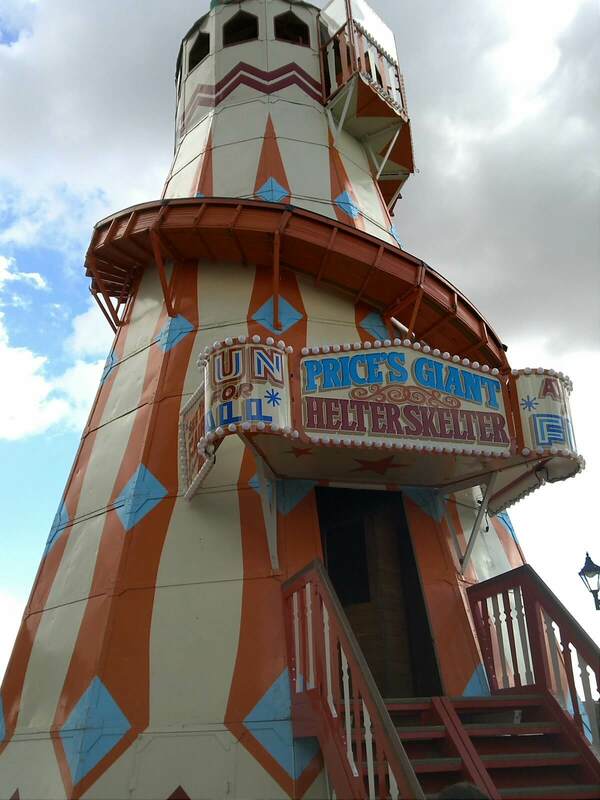 And, next to the carousel, we were delighted to find an old fashioned helter-skelter. For £1.50 per ‘slider’, you could enjoy the dubious pleasures of wood burn at speed! 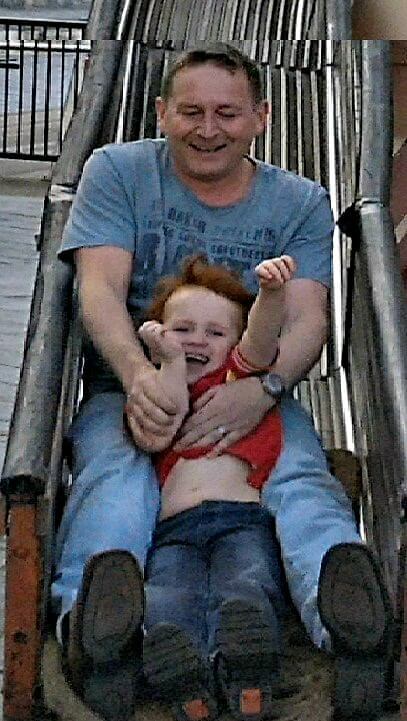 Obviously I had to look after the bags, but hubby and Ieuan made the most of it. Today, by contrast, we ended up in one of the local retail parks on errands and were hijacked by Caitlin on a quest for a fairy tiara and wand. Now leaving aside any feminist debate about dressing four-year-old girls as pink fairies (they seem to naturally gravitate towards this), there’s no doubt that pester power starts early particularly when they spot the cheap toys that litter kiddy shows, theme parks and family entertainment venues in general. You know the ones – they all light up in the dark. The challenge to educate about the value of money should start equally early in my view. The kids know that big presents are for birthdays and Christmas but they are allowed the occasional treat and we have saved some of their birthday money from relatives for purchasing the odd toy. But, every time we allow the kids a cheap toy (you pay more for the packaging than the dreadful quality tat that generally constitutes girls’ dressing up clothes and accessories), it’s a five-minute wonder which we find duly discarded in a pile a couple of days later. I’m sure many parents are discovering that, no matter, how many toys you purchase, they do not help children to learn the most basic of skills – how to PLAY. I have a strong suspicion that the focus in more privileged schools on interactive whiteboards and computers is not really helping to foster creativity. A recent article in The Daily Mail by Clare Goldwin “What happened when I swapped my children’s toys for beads and cardboard? A minor miracle. . . once the wailing stopped” looks at what happens when toys are swapped for simple items such as modelling clay, beads and cardboard pieces. It makes interesting reading, although the conclusion I came to was that it is the parental attention rather than the simplicity of the toys that make the difference. Isn’t that actually the most important thing? Cheap toys are no substitute for getting on the floor to play with your kids. Buying toys does not assuage any guilt you may have from not spending enough time with them. I was going to use the well-worn phrase “quality time” but to me, that just means small amounts of time for concentrated play to meet your timetable – not your kids. Let’s not forget, either, the importance of outdoor play to get plenty of fresh air in their lungs and extract them from the constant lure of PCs, tablets and Xboxes. And you can’t really create any lasting family memories wrestling with a ton of plastic packaging, cardboard and those dreadful plastic ties you need secateurs to cut through – can you? "Review: Frankie & Benny’s, Dunleavy Drive, Cardiff"
"Linda Hobbis & The Potato of Doom"